Scornavacca, C, van Iersel, L.J.J, Kelk, S.M, & Bryant, D. (2014). 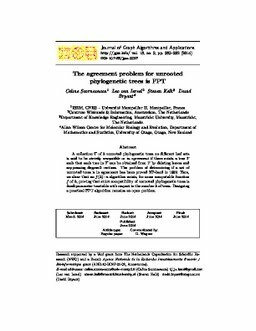 The agreement problem for unrooted phylogenetic trees is FPT. Journal of Graph Algorithms and Applications, 18(3), 385–392.